In order to fulfil various requirements of our valuable clients, we are offering to them a huge range Exclusive Ladies Silk Suits that is available in various colors, sizes and designs. During the design process of this productvendor’s skilled designers use high-end designing techniques and high-grade material that we source from the reliable vendors of the market. Its quality is severely tested on varied parameters by vendor’s quality experts before the final dispatch. Additionally, clients can get this product from us at reasonable prices. Incorporated in the year 2012, we “Triveni Creation” are a foremost organization affianced in Trading and Supplying an elegant assortment Salwar Suit, Ladies Kurti, Designer Suit, Dress Material, Designer Saree, Bollywood Saree, Exclusive Suit, Patiala Suit, Fancy Gown, Anarkali Suit . We are leading Sole Proprietorship company moving ahead towards success with dedication and optimum performance. Located at Surat, (Gujarat, India), we are blessed by honourable and honest vendors of the market with the help of skilled procuring agent in order to offer the best quality garments to our respectable patrons. Our associated vendors are selected by our dedicated procuring agent the ground of their market reputation, design techniques, financial position, flexible payment modes, prompt delivery and quality of outfits. In addition to this, our associated vendors assure that these garments are sternly tested on numerous quality measures to assure their skin-friendly nature. 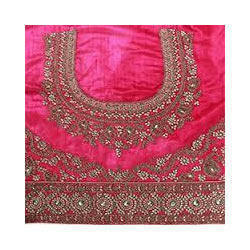 We provide garments at market leading prices to our honourable customers within the estimated time span.